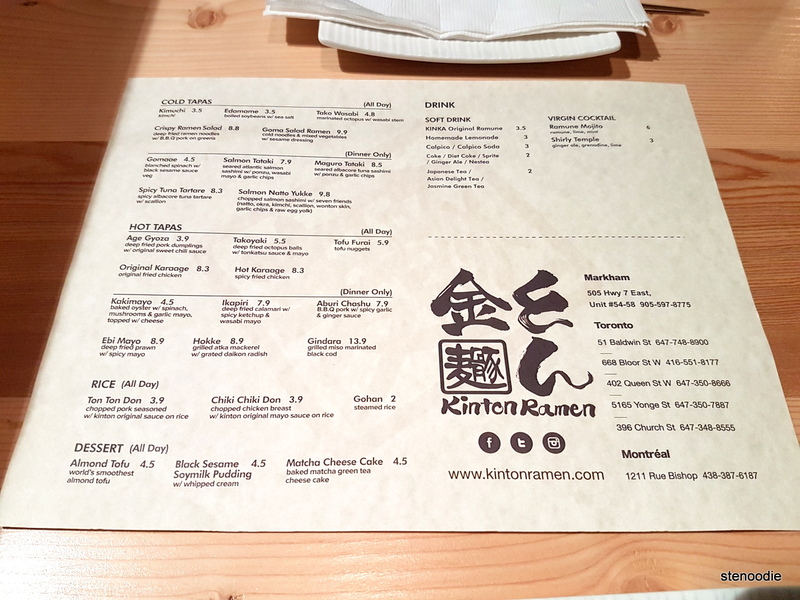 I had the pleasure to be invited to the tasting event of the newest Kinton Ramen restaurant opening up in Markham last Thursday. 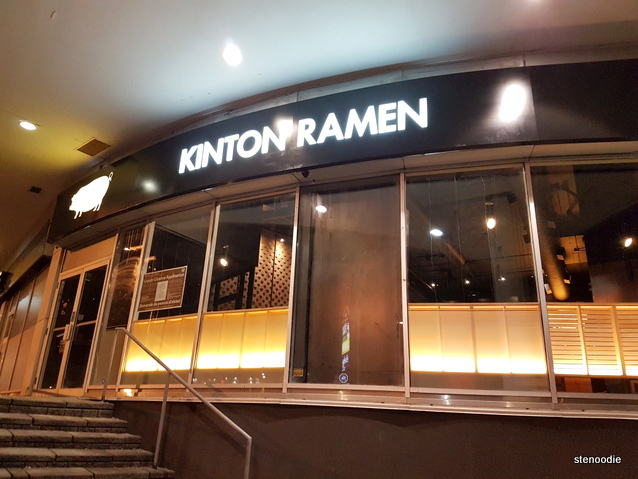 Kinton Ramen has been a solid Japanese ramen house in Toronto for the last eight years or so after opening up their first location on Baldwin Street in downtown Toronto. 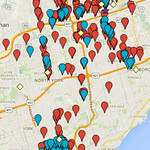 Since then, there have been six other openings in the GTA as well as in Montreal. 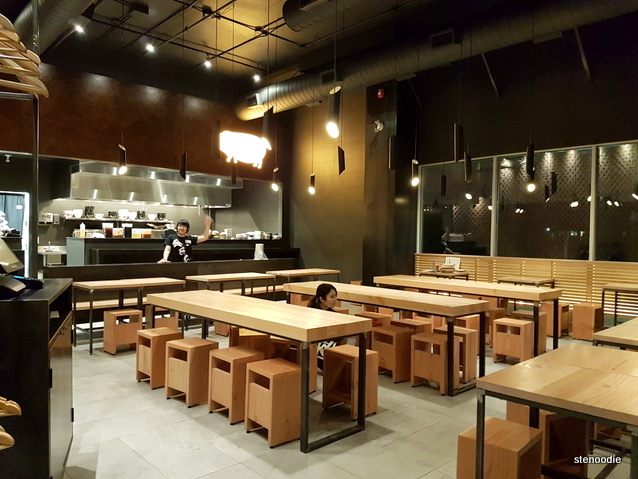 This was the first time that Kinton Ramen has opened its doors to the Markham area and foodies around the area couldn’t be more excited to have this Kinka Family restaurant for lunches and dinners! Thanks to Stella who invited me and a guest to the tasting (which was also a soft opening for those who knew about it). 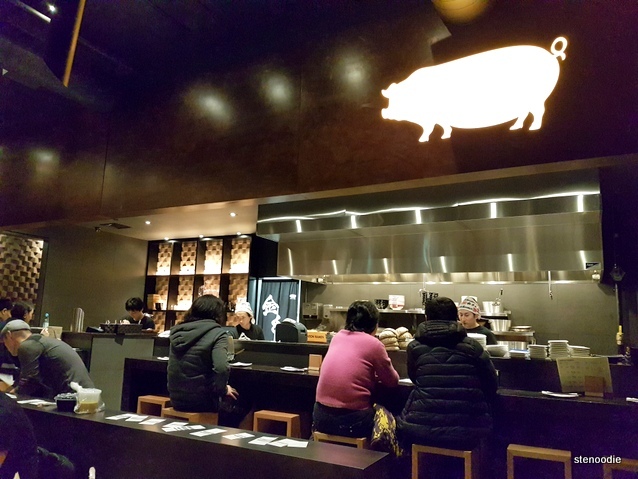 Kinton Ramen 7 is located at the Commerce Gate plaza, a small plaza that already is home to many other delicious eateries and shops. It was so packed with people when we arrived just before 7:30 p.m. 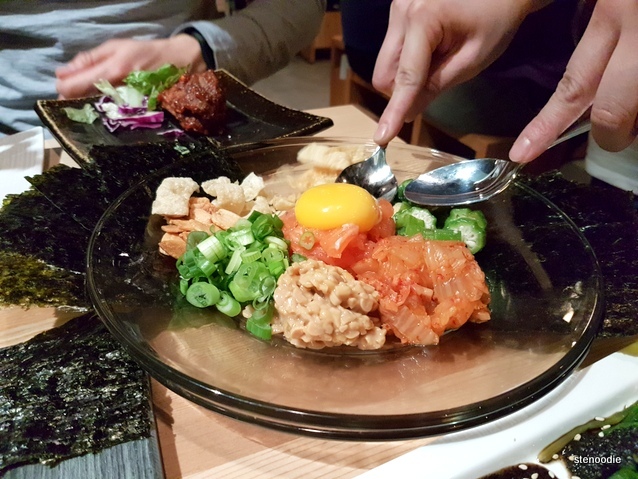 I bumped into Grace of @foodinthecityto just as we sat down and she gave me a good tip about trying the tapas first since there were so many delicious options. And thus, our entire night can be summed up with many delicious tapas, drinks, and ramen! 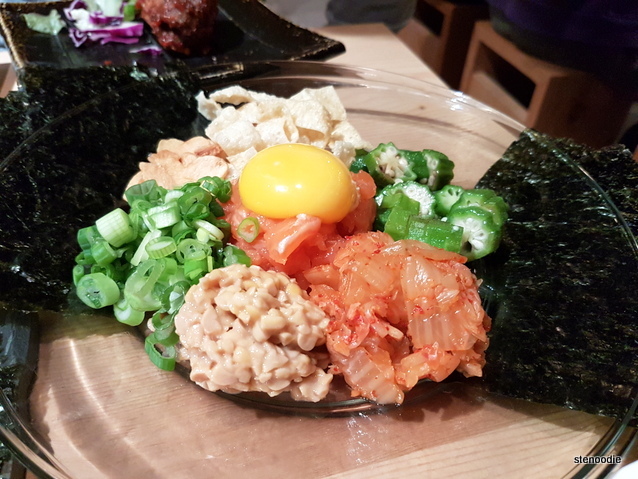 We had a total of six tapa dishes, three drinks, two ramen, and two desserts! The last time I had these Japanese soda drinks with a marble inside of them was back in my childhood days! So when I saw this on the menu, I immediately wanted to try them out. Unfortunately, it did take a bit of time for the food and drinks to arrive at our table (but understandable since it was only their soft opening and their staff were still learning to accommodate to the crowds — the service otherwise was still really good and friendly). You can see the marble inside the bottle! 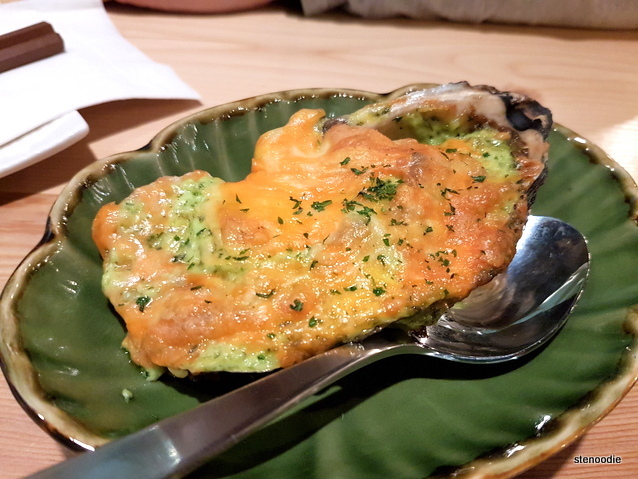 I have had the Kakimayo (baked oyster with spinach, mushrooms, and garlic mayo, topped with cheese) before and this remains one of my favorite tapas to order at Kinka Izakaya. The spinach sauce with the cheese was to die for! The Tofu Furai is one of the best tasting appetizers to go with your ramen. 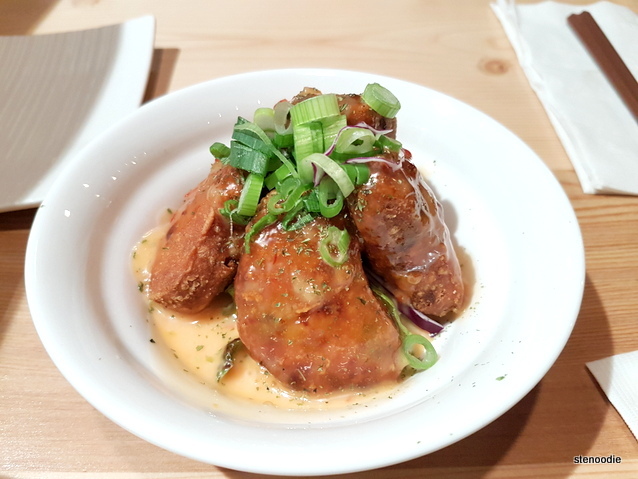 I discovered it on my first visit to Kinton Ramen back at their original location and have always raved about these tofu nuggets since. They are slightly crispy on the outside with a really smooth vegetarian-friendly interior that tastes almost like chicken nuggets but better. 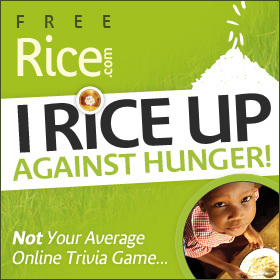 You just have to try it out yourself to see what it’s like! 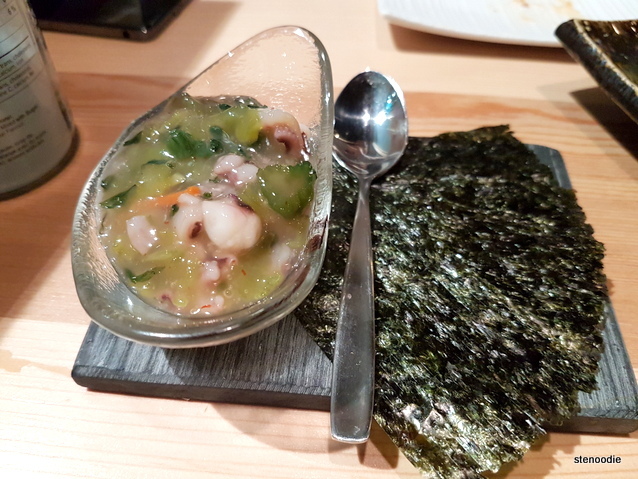 Their Tako Wasabi (marinated octopus with wasabi stem) remains one of the best I’ve ever had. 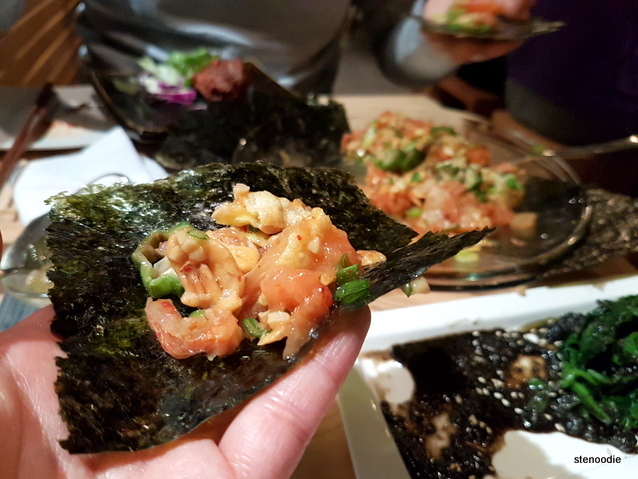 It was perfectly marinated with spicy wasabi stem that really sent a spice to our nostrils! It was so good! 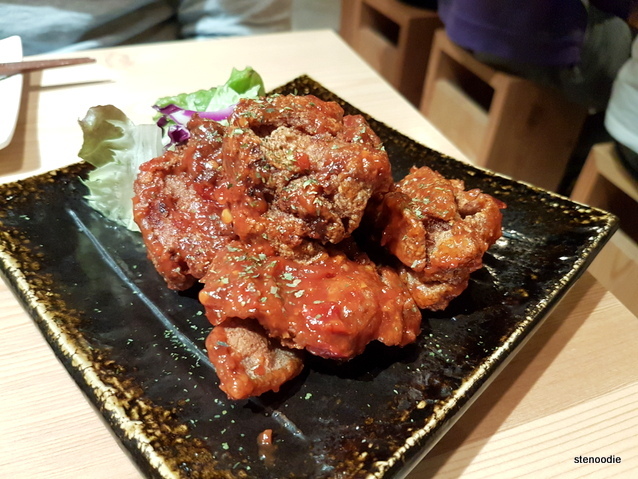 I remember I really enjoyed the Hot Karaage at another location of Kinton Ramen when I visited back in the summer and loved the spicy fried chicken. 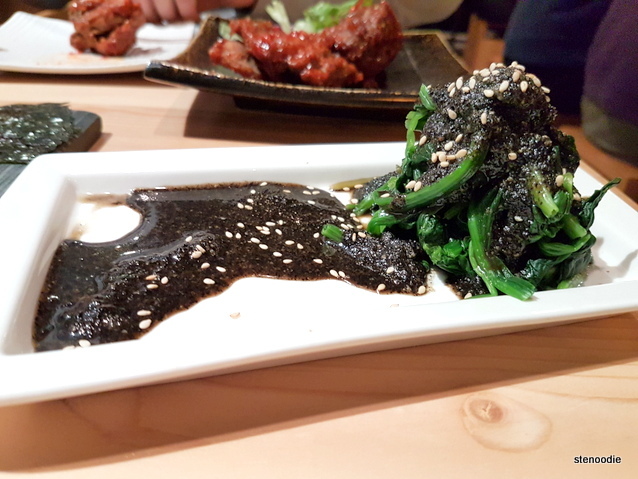 Gomaae (blanched spinach with black sesame sauce) is another favourite tapa of mine. It was such a simple dish but so tasty thanks to the slightly sweet black sesame sauce. 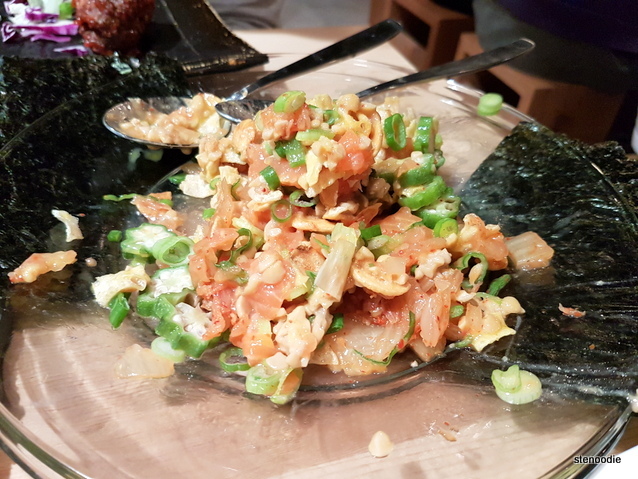 This was my first time trying the Salmon Natto Yukke (chopped salmon sashimi with seven friends — natto, okra, kimchi, scallion, wonton skin, garlic chips, and raw egg yolk) and I was very curious about it when I saw it on the menu. After the server set it on the table (and I took some quick photos), she helped us to mash everything up together. There were some nori available on the side of the plate to serve everything together. I thought that this was such a unique blend of different textures and flavours. It wasn’t common to see natto served together with other ingredients as I had only eaten it raw as breakfast in Japan before. We enjoyed this dish but thought that it could have benefited with a vinegar or soy sauce like ingredient to bring up the taste. 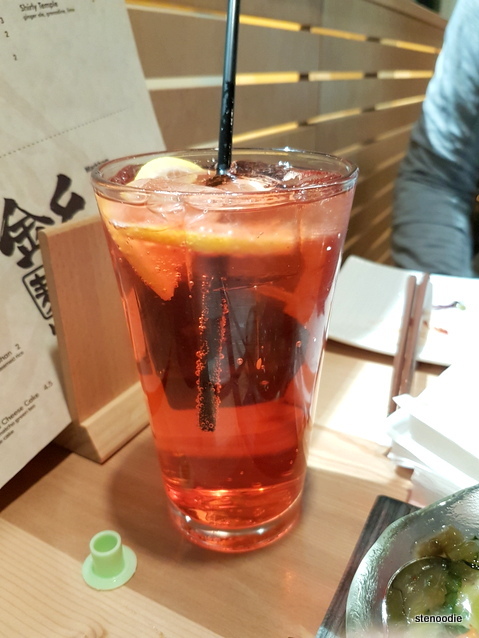 This was the Virgin Shirley Temple (ginger ale, grenadine, lime). 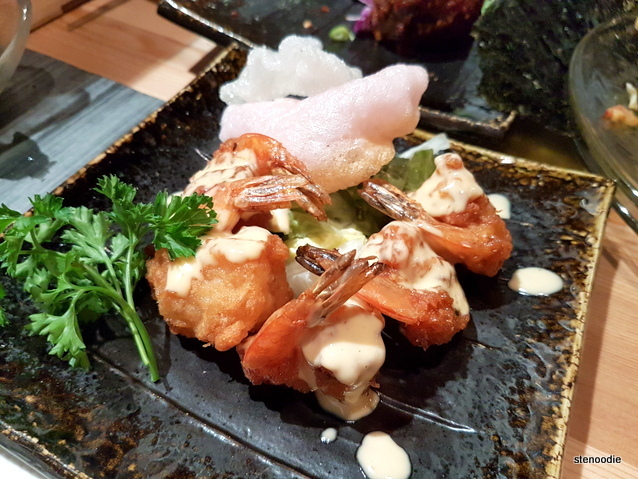 The Ebi Mayo (deep fried prawn with spicy mayo) was pretty good. The prawns were very fresh and firm. After a round of several tapas, we thought it was time to order a bowl of ramen each to try out their namesake. 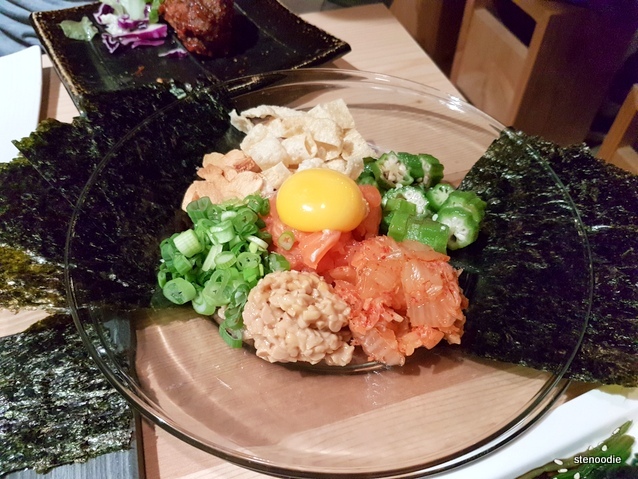 On this visit, I tried a Vegetarian Ramen for the first time! 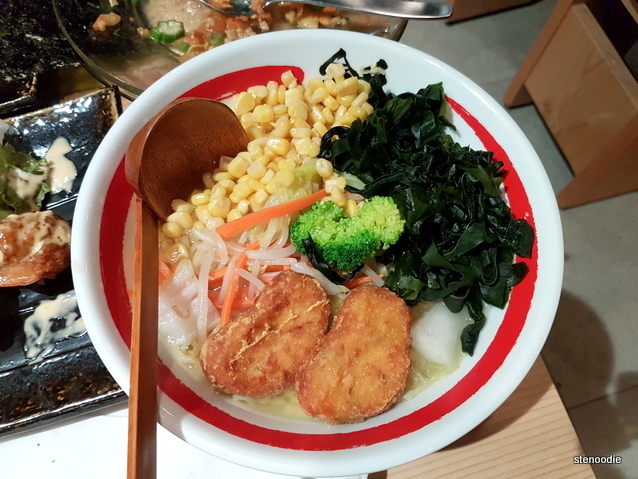 It contained a bowl of thick ramen with seasoned vegetables with tofu furai in a 100% vegetarian broth. 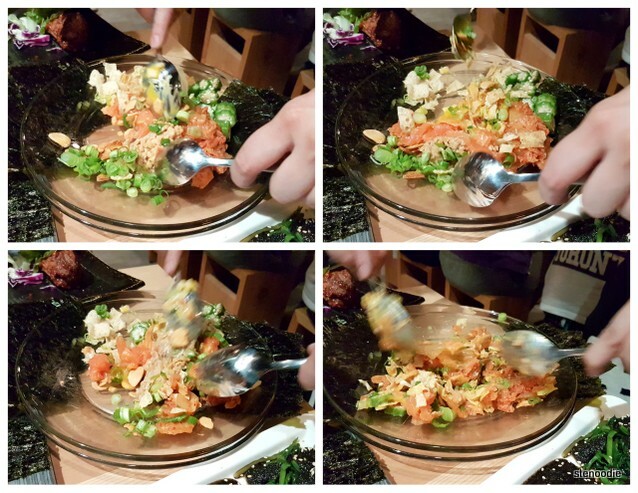 It was definitely a very clean tasting broth and there were many vegetables in it too! 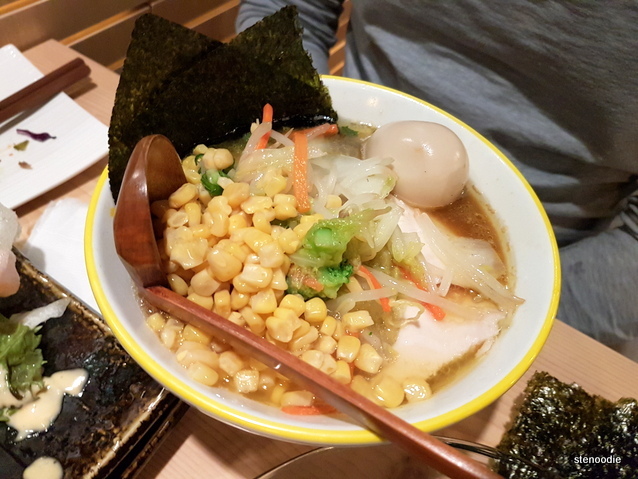 Ken ordered the Chicken Shoyu Ramen with lots of extra toppings added like sweet corn, nori, bean sprouts, scallions, seasoned egg, and seasoned vegetables. The chicken breast meat was just as firm and tender as I remembered from one of my previous visits and the chicken stock was so rich! 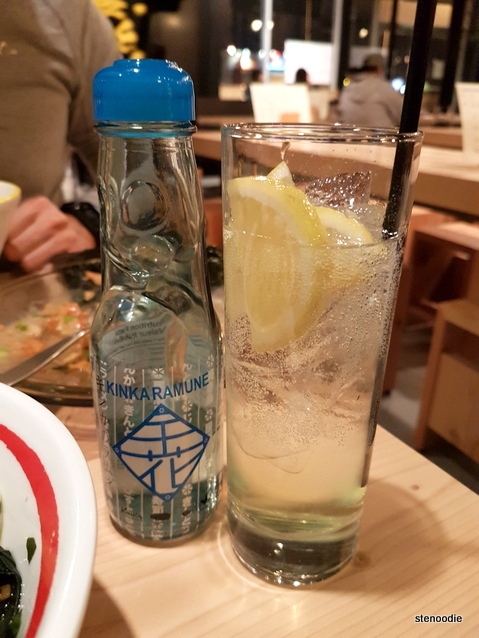 The Virgin Ramune Mojito had ramune, lime, and mint in it. 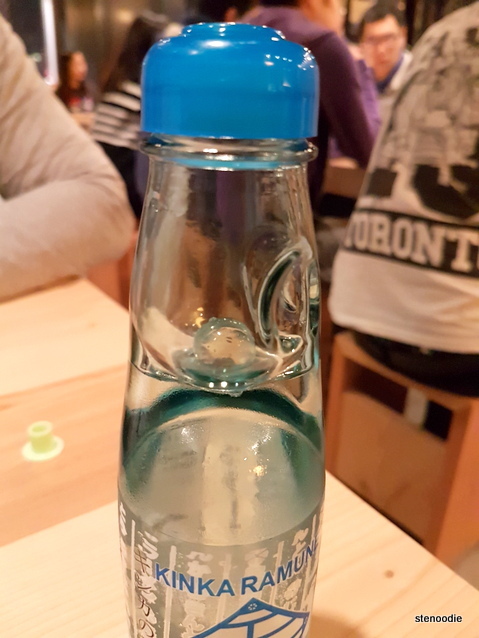 This was actually just the bottle of KINKA Original Ramune arrived with a glass with lime and mint in it. 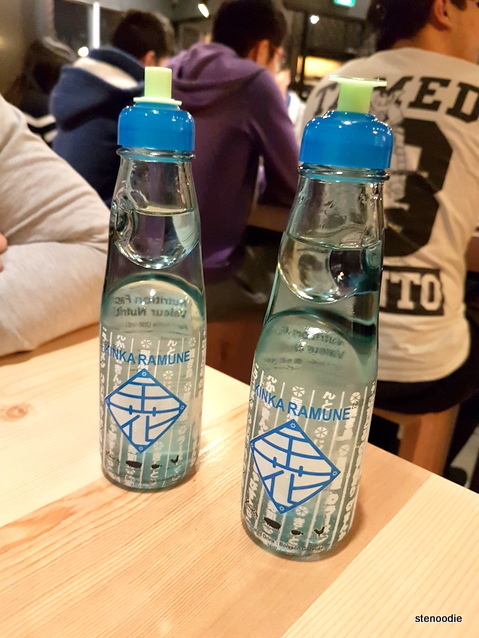 It helped to break up the sweetness from the original ramune bottle. Last but not least, it was time for dessert! 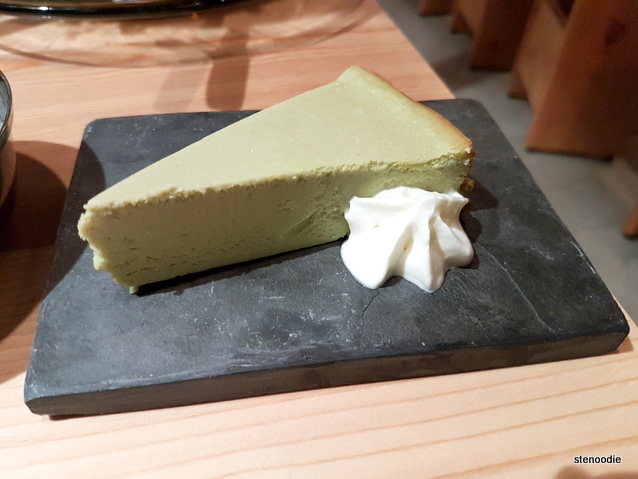 We tried the Matcha Cheesecake (baked matcha green tea cheesecake). It was very smooth and creamy! The matcha taste was very much present as well. 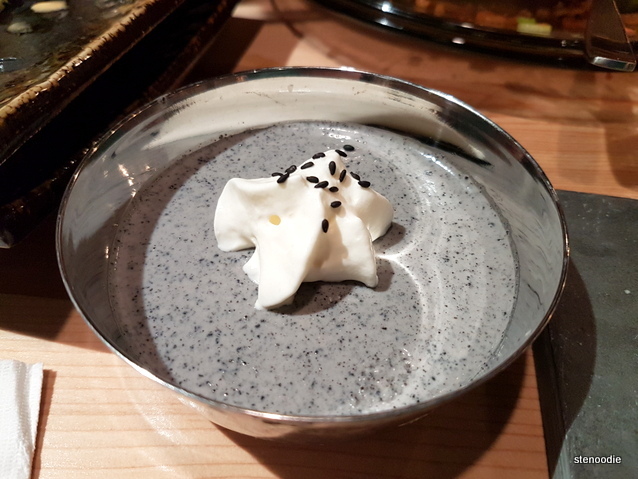 We both really enjoyed this Black Sesame Soymilk Pudding with whipped cream. It was extremely smooth and tasted of black sesame! It was also melt-in-your-mouth softness. This was a perfect portion to share as it would be very substantial for one person to finish on their own. Yummy! 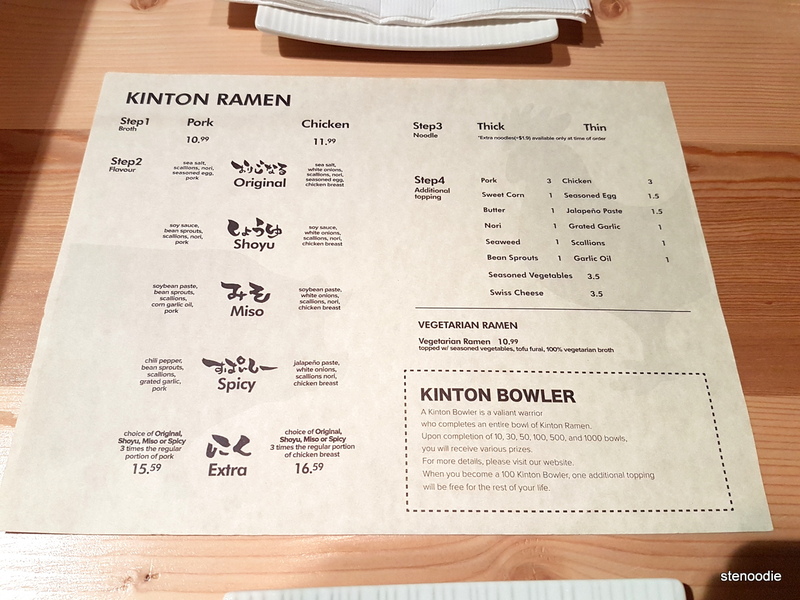 FTC Disclaimer: Although Kinton Ramen reached out and invited me to a complimentary tasting at their restaurant, the opinions expressed here represent my own and not those of the restaurant. This entry was posted in Complimentary Adventures, Food and tagged 505 Hwy 7 East Unit #54-58 Thornhill, Black Sesame Soymilk Pudding, blanched spinach with black sesame sauce, Chicken Shoyu Ramen, Commerce Gate, Ebi Mayo, food blog, foodie, Gomaae, Hot Karaage, Japanese, Kakimayo, KINKA Original Ramune, Kinton Ramen, Kinton Ramen 7, Kinton Ramen 7 Markham, Kinton Ramen 7 Markham menu, Kinton Ramen Markham, Kinton Ramen tapas, Markham, Matcha Cheesecake, ramen, restaurant review, Salmon Natto Yukke, tako wasabi, Tofu Furai, Vegetarian Ramen, Virgin Ramune Mojito, Virgin Shirley Temple. Bookmark the permalink. 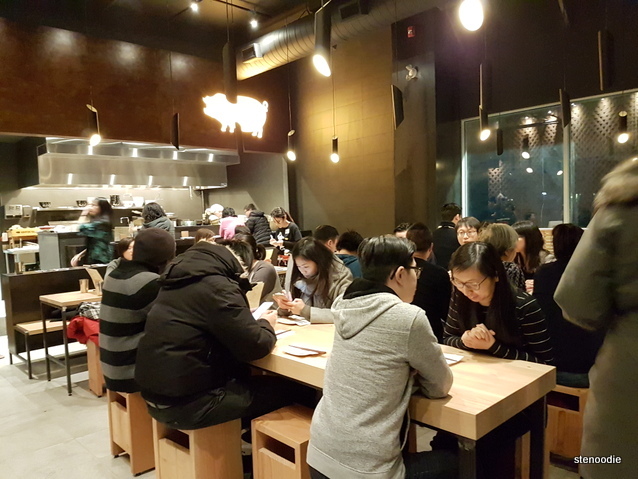 13 Responses to Kinton Ramen Tasting at new Markham location! What’s the social etiquette at these events? Did you tip at Kinton? My friend is inviting me to come with her to a private tasting, and I don’t know what to do with tipping since food is free. Ask your friend to see what they do. It also depends on the event. For intimate private restaurant tastings where it was the chef or owner who invited me, I will tip. If it is a big event where there are a lot of influencers or bloggers organized by a PR company, I don’t usually tip. Aw, why wouldn’t you have the courage to go? Because I don’t really know anyone, + bad experiences (being alone in the corner etc. – exaggeration) and some anxiety, hahah.